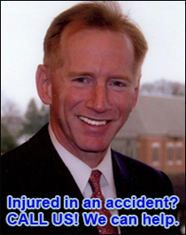 Barry R. Rabovsky only represents injured individuals and their families. With more than 29 years’ experience as a personal injury attorney in the Chicago metropolitan area, he is well known and highly regarded. He is an aggressive, skilled trial lawyer with a reputation for excellence that makes his retention a key to success in complex, adversarial personal injury proceedings. Few experiences in life can be as devastating, frustrating, and as life altering as suffering a personal injury case because of someone else’s negligent actions. Many times the careless and negligent actions of others result in the loss of life of a loved one. Client satisfaction is our main priority. Our law firm consists of professionals who provide personal attention to each of our clients and who also have extensive experience and knowledge of the judicial system and personal injury law. Your initial consultation with our office is free, and you will be under no obligation. We offer a thorough evaluation of your legal situation and determine the necessary process to ensure that you obtain the best results possible. We will provide you with all the information you will need to understand the legal process, time frames, and potential outcomes of your case. Let a firm with experience, dedication, and resources fight for your rights. If you or a loved one suffered an injury in an auto accident or as a result of negligence, contact us today! © 2017 Law Office of Barry R. Rabovsky. All Rights Reserved.